Bringing the Food Allergy community together for sharing and support… in person! We would like to introduce you to Chef Keith Norman of the South Point Hotel. We know that traveling with food allergies can be hard. It requires trusting others with your food safety, your health and your life. Chef Norman’s knowledge and safe allergy practice made choosing the South Point Hotel to have our conference at a smart decision when we carefully considered our need to provide safe meals to our audience. As a Veteran Marine and with 20 years in the culinary arts field, Keith Norman brings a sense of discipline and order to everything he does, both in business and in the culinary world. Chef Norman has a passion for food safety and sanitation that is apparent in his role as Assistant Executive Chef and Food Safety Manager for the South Point Hotel & Casino and as a culinary arts instructor at The International Culinary School at The Art Institute of Las Vegas. 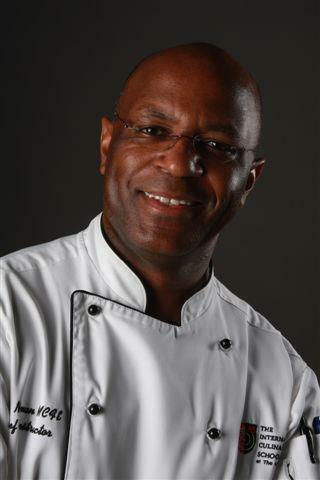 In both roles, Chef Norman is responsible for training and educating students and culinary professionals in one of the most important facets of the foodservice industry. He has worked his way up the culinary ladder at Las Vegas properties to include Bally’s, the Mirage, Treasure Island, Paris, Suncoast and South Point hotels and casinos. He is a certified professional food manager, certified HACCP (Hazard Analysis and Critical Control Points) manager, NEHA (National Environmental Health Association) certified food trainer, NRA (Nevada Restaurant Association) certified food safety trainer, a certified registered OSHA (Occupational Safety and Health Administration) trainer and a master certified food executive. Chef Norman has trained through the FDA (Food and Drug Administration) in the areas of foodborne illness investigation, agro-terrorism and food systems disasters. He is a member of the Casino Management Association, International Food Safety Council, Black Culinarian Association and Nevada Food Safety Task Force, Stop Foodborne Illness, and FAAN (Food Allergy and Anaphylaxis Network). Please email us at fablogcon@gmail.com with any dietary concerns you may have after buying conference tickets. We will be letting Chef Norman know of all concerns so we can ensure a wonderful experience and stay at the Food Allergy Bloggers Conference! 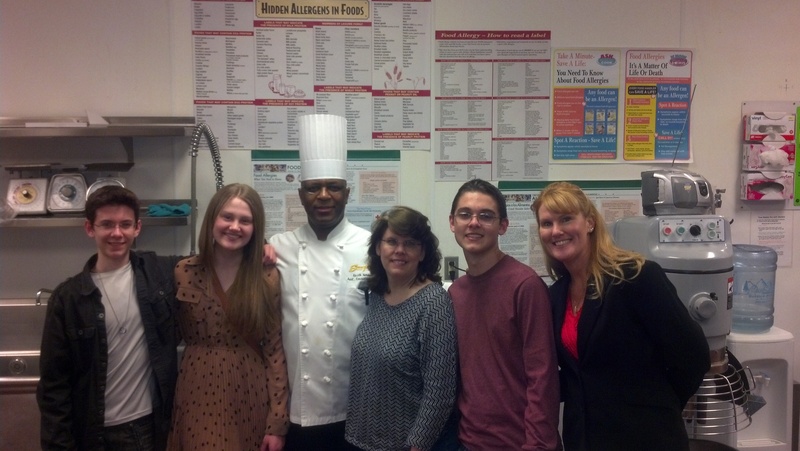 At the supportive “Allergen Safe” South Point Hotel Casino (in the kitchen). With NV Teen recruitment walk chair, Scott Gordin, NV Honorary Teen Chair, Kendall Hollinger, NV Walk committee chair, Chef Keith Norman, NV Walk Director, Dana Gordin, NV walk volunteer, Matthew Gordin NV walk volunteer, Kim Hollinger. Check out all the food allergy awareness posters! The South Point is also a proud sponsor of the FARE walk. Mom of two boys with multiple food allergies, Blogger, and Founder of the Food Allergy Bloggers Conference. This entry was posted in Blog and tagged allergen, Allergy, Chef, FAAN, FABlogCon, FARE, FARE Walk, Food Allergy, Food safety, Keith Norman, Las Vegas, Las Vegas Nevada, South Point. Bookmark the permalink. That’s awesome! Love that he takes food allergies so seriously and is making such a difference. Pingback: Thank You: FARE Walk Directors Dana and Duane Gordin | Oh Mah Deehness! Save the Date for 2014! Joanne on Save the Date for 2014! dairyfreeswitzerland on Save the Date for 2014!